‘There’s less electricity, less revenue earned by companies, less opportunity for government to levy taxes on profitability,’ an expert says. The funereal dimness of South Africa’s economic tunnel, with Eskom flickering dimly at its end, is unlikely to shine any brighter before the end of the year while the utility battles operational issues keeping the country in the dark. “The last forecast by the Reserve Bank for GDP growth was 1.5% for this year. What’s likely to happen with a large portion of industry, mining, agriculture out of action because of power interruptions, it’s going to be even less,” said Institute for Race Relations chief economist at its Centre for Risk Analysis Ian Cruickshanks. He noted SA’s manufacturing growth plunged to a 12-month low of 0,3% year on year in January, while mining had contracted by 3.3% year on year. 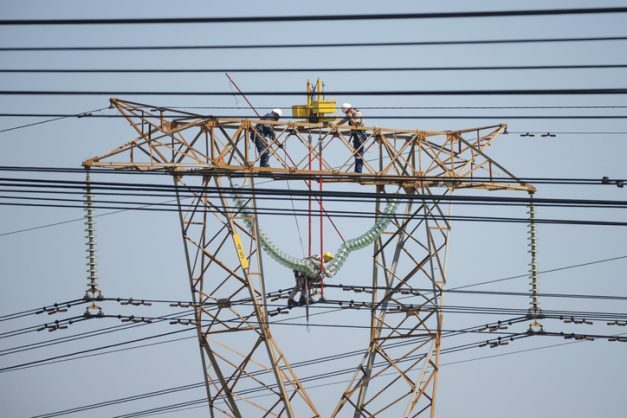 “I think we’ll be lucky to make 1% in GDP with the terrible performance we’ve had from Eskom and, if that is so, and the population is growing at 2%, the county is getting poorer,” said Cruickshanks. According to him, SA’s economy is in a vicious circle. “There’s less electricity, there’s less power, there’s less revenue earned by companies, there’s less opportunity for government to levy taxes on profitability,” Cruickshanks noted. It’s also becoming a matter of simple daily survival. While most of us are concerned with charging our devices, working, or simply trying to have a life, Johannesburg Water has warned to keep an eye on water usage as well. “Use water sparingly, especially when there are power outages,” member of the mayoral committee for environment and infrastructure services Nico de Jager told The Citizen yesterday. Eskom warned yesterday Stage 4 load shedding would be here until at least today and said Stage 4 load shedding was “no cause for alarm”. The problem is, water usage doesn’t stop when electricity supply stops, which has a huge effect on water supply. “The moment there is load shedding and you continue using water, water supply works on gravity in terms of reticulation and you can’t close the reservoir or the pump and the moment the water tank runs empty, there’s nothing we can do,” De Jager said. According to Johannesburg Water, the utility supplies 1 574 Ml/day of potable drinking water, procured from Rand Water, through a distribution network of 11,896 km, 122 reservoirs and water towers and 35 water pump stations. “Before you can start pumping into the tower, the reservoir has to be filled to a depth of at least one and a half metres. The problem is, once water reaches the tower it all just washes away when people don’t close their taps,” De Jager said. Earlier this week, Public Enterprises Minister Pravin Gordhan, together with officials from the ministry of public enterprises, met the Eskom board and management about its financial and restructuring issues. “It is clear greater urgency needs to be applied to acquire equipment necessary for urgent maintenance. We agree with South Africans that the continuation of frequent load shedding, and in particular Stage 4 load shedding, is unacceptable and disruptive to our economy,” Gordhan said in a statement. Gordhan said his department and National Treasury had committed to assist Eskom to fast-track the procurement of essential goods and services urgently required to rehabilitate and repair generating units at power stations.